Piscine “Pi” Molitor Patel begins his story as a polytheist living in Canada, reminiscing about his childhood in Pondicherry, India. Born Hindu, Pi is introduced as a young teen to Christianity and Islam, and decides to follow all three as he comes to understand God through the teachings of each religion. The Patels are zookeepers, and Pi has grown up learning to care for animals. He is fourteen when they decide to rent a ship and relocate their zoo to Canada due to political unrest in India. Unfortunately, disaster strikes and the boat carrying Pi’s family and all of the zoo animals sinks, leaving Pi stranded alone on a small lifeboat with an injured zebra, an orangutan named Orange Juice, a hyena, and a Bengal tiger named Richard Parker. The hyena quickly dispatches and eats Orange Juice and the zebra, and Richard Parker does away with the hyena. Left as the only survivor on the boat with a Bengal tiger, Pi must use his wits and knowledge of animals to keep Richard Parker from eating him. If it had been me, I would have tried to think of ways I could kill and eat the tiger and keep myself alive (despite the fact that one’s chances of fighting a tiger in a lifeboat and winning are nearly zero), but Pi lives in such deference to other living spirits that he does not even consider it – he thinks only of ways to keep them both alive, not the least of the reasons for which is that Richard Parker is his only company on the boat. Pi does not say as much in the narration, but one gets the impression that he is afraid he may go mad alone on the ocean, and that having Richard Parker to care for will give him purpose, a reason to keep himself alive, and someone to talk to. Pi must first think of a way that he can keep the tiger under control if he needs to. He spends days conditioning Richard Parker by blowing a whistle and aggressively rocking the boat, making the cat sick. The tiger quickly associates the sound of the whistle with being violently ill, and with that Pi has established himself as the Alpha animal, which protects him from attack. Pi begins producing drinking water in makeshift solar stills and fishing for the two of them. The pair are adrift for a total of 227 days; often mad with heat, malnutrition, and thirst. Eventually, Pi’s lifeboat washes up on the shores of Mexico, and Richard Parker immediately escapes into the forest. Pi tells his story to the authorities (who are looking to understand why the ship sunk), but they don’t believe a word of it. Undaunted, Pi makes up a second story; this one much more believable including his mother, a ship’s cook, and a sailor substituted for the animals, and asks which they prefer. They prefer the story as told the first time (although they still do not believe it), and Pi remarks that it is much the same way with God – that those who choose not to believe miss out on the better story. Fun Fact(s): Brazilian author Moacyr Scliar threatened to sue Martel for plagiarism, saying that there were too many similarities between Life of Pi and his 1981 novel, “Max and the Cats.” After speaking with Martel, he decided not to pursue his suit. 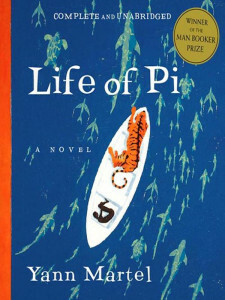 Taiwanese director Ang Lee plans to shoot a movie version of Life of Pi beginning in January 2011. It is slated for release in December of 2012 in 3D. Bother if: Much has been made of the religious allegory contained within Life of Pi. To tell the truth, it was subtle (or veiled) enough that I only picked up on it in passing while I was reading it. I was far too caught up in the actual story. It’s a wonderful adventure and has you pondering all the time “What would I do if it were me in this situation?” I doubt that I would have survived, myself. I think it’s a terrifically engrossing read for all ages. I enjoyed it very much, and there is a wonderfully surreal interlude on an island inhabited only by meerkats. One might have expected a boy of Pi’s age to dwell on the disaster and fall apart in the wake of the tragedy of losing his family, but he was completely focused and strong in his faith. I rather liked that about the story, if only as a personal reminder that strength, focus, and faith nearly always serve one well. Don’t Bother if: Essentially, the only human characters besides Pi are the Maritime authorities to whom he tells his story. As that portion of the story is told via reports, it’s slightly jarring after being alone on the ocean with Pi and Richard Parker for the entire novel. I found nothing terribly offensive about the book, although survival tales can sometimes be a little gruesome with regard to what one must do in order to live. Some people may also be put off by the animals eating one another in the first part of the novel, and I doubt it would appeal to most people younger than their early teens. Very interesting review and comendable goal. I hope you reach it. 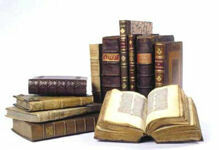 I’ll be interested in reading future reviews from the 1001 must -read books list. Take care. Thank you for stopping by, Sharon! I hope to see you visit again. Something I missed in my reading of the novel (and I am surprised, as I usually pick up on such things), is the significance of the names used in the book. – Pi is an irrational, infinite number – this is represented in Pi’s ‘irrational’ belief in several religions and his argument that belief in God is a better story, whether the story is rational or not. – Pi (the number) can be represented by the fraction 22/7. Pi was stranded 227 days. – In Edgar Allan Poe’s only novel The Narrative of Arthur Gordon Pym of Nantucket, published in 1838, Richard Parker is a mutinous sailor on the whaling ship Grampus. After the ship capsizes in a storm, he and three other survivors draw lots upon Parker’s suggestion to kill one of them to sustain the others. Parker then gets cannibalized. – In 1846, the Francis Spaight foundered at sea. Apprentice Richard Parker was among the twenty-one drowning victims of that incident. – In 1884, the yacht Mignonette sank. Four people survived, drifted in a life boat, and finally killed one of them, the cabin boy Richard Parker, for food. This led to the R v Dudley and Stephens criminal case. (Another Richard Parker was involved in the Spithead and Nore mutinies in 1797 and subsequently hanged, but not eaten. There are of course other examples of symbolism in the novel (these are just a few), but these particular ones (with the names) lend a nuance to the novel that I missed myself the first time through. Thank you for sharing these! 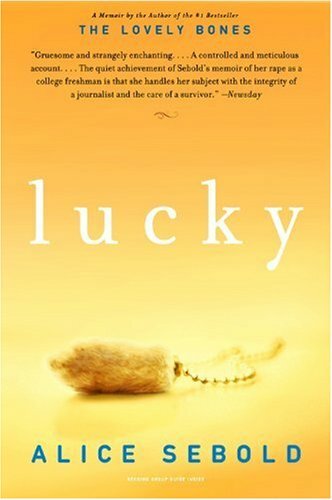 I just finished this book in January and absolutely loved it! 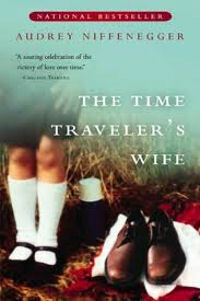 I’ll be publishing a review of it tomorrow at http://www.britheblogger.wordpress.com. I hardly ever pick up on symbolism like what you mentioned above, but I always love learning about it. It makes the book even more interesting and gives me more appreciation for the hard work the author put into the book. Thanks for commenting! I nearly always miss symbolism as well, unless it is glaringly obvious. I’ll definitely check out your review tomorrow. Thanks for stopping by and checking out my first post on this book, and for the comment. Did you see the second post? 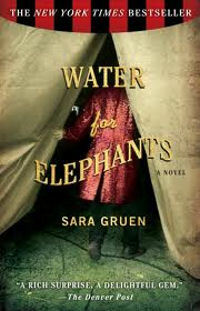 I like your take on Life of Pi, and I agree that this is a book for adults and older teens. I am adding my reply to jasingerman’s auxiliary post above, as food for thought…. Your tying in of all three major religions into the story is really interesting…one could go so far as to draw a comparison between Pi and the biblical story of Job – faith in the face of adversity is eventually rewarded. I am not a scholar of religion, but surely Islam and Hinduism have stories with similar morals. I rather dislike the comparison between the island and Islam, although I certainly can see your point. To me, that comparison says that in the same way that the island is able/willing to sustain your body, religion is able/willing to sustain your soul, but only within the confines of its rules. That doesn’t make an argument that religion is benevolent or even very wise to follow, to me. I suppose, however, that one could imagine that like on the island, the rules are finite and absolute (rather than arbitrary), and that the salvation of one’s spirit requires adherence to rules that are also not arbitrary but necessary. Which brings us to what I suppose may be the crux of the argument – religion/faith is necessary for the sustaining of one’s soul. Do you think that that’s the argument the author is trying to make with the story? When I read this book I’ve read reviews of this book being life changing and the whole idea of ‘believing in god’ after reading it. That made this book, at the beginning, hard to pick up. When I let that all go, I was happy to read Pi’s adventure in the open sea. But i have to admit my favorite part of the book was his ‘multi-religious’ adventure and the juxtaposition of religion/faith and zoology. It was thoughtful and humorous all at the same time. I also remember thinking how well Martel portrayed the innocence and sincerity of the child in seeking faith.